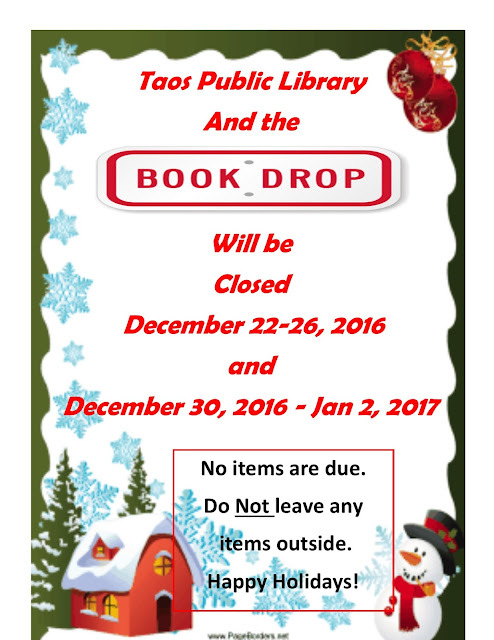 The Taos Public Library along with the book drop will be closed December 22-26th 2016 and December 30, 2016 thru January 2, 2017 in observance of the upcoming Christmas and New Years holidays. 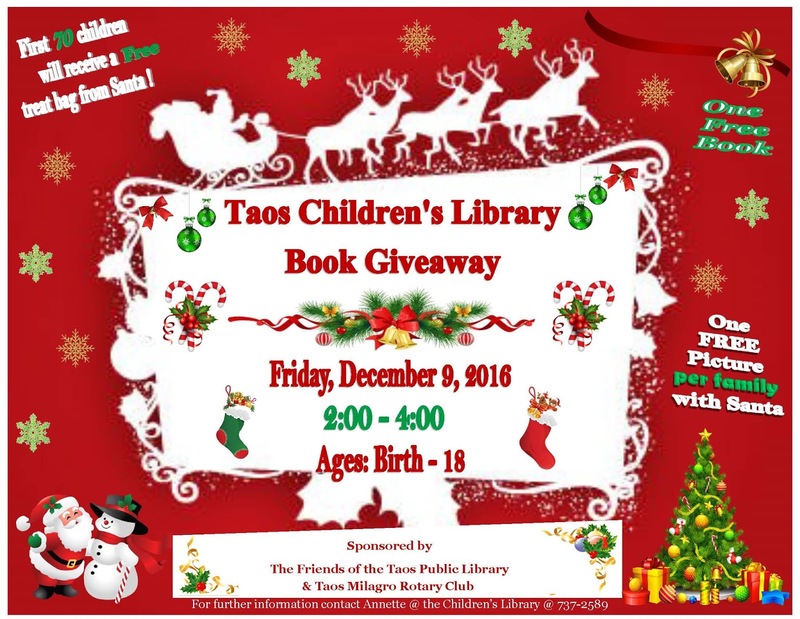 Thank you for NOT leaving any items outside. The weather can damage items that are still checked out to you.